One of the classic “wow” features of the super-deluxe properties are the glass floors in the water villas to peer down on the aquatic playground below. 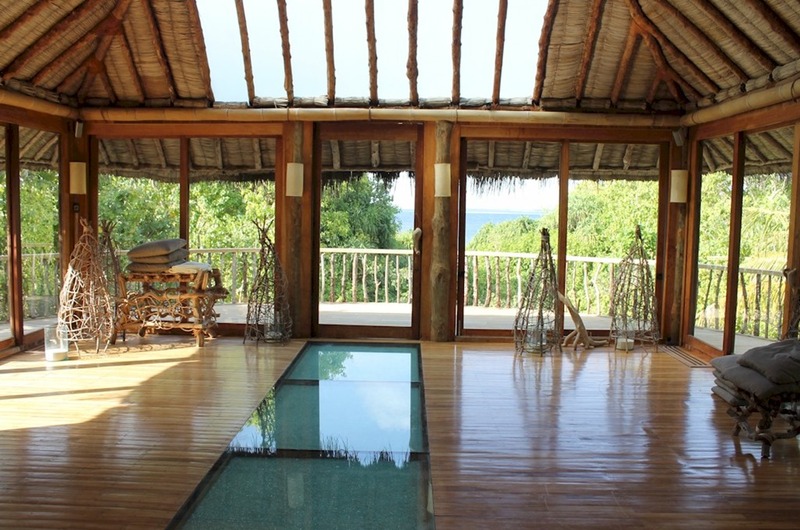 Soneva Fushi’s lack of water villas hasn’t stopped it from it from offering its own version of a truly ‘glass’ floor in its yoga pavilion. Down the centre of the room are glass floor panels. 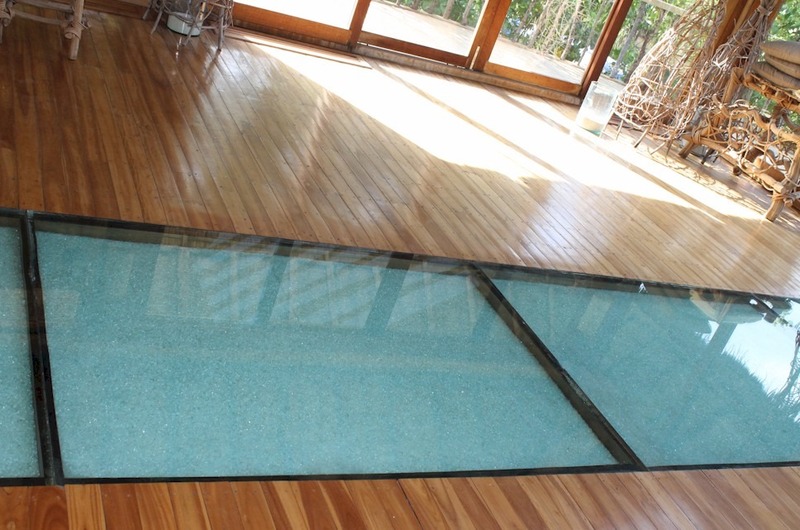 But instead of maritime life beneath, it has a sparkling canvas of crushed glass recycled from the island. It’s like an aquamarine carpet. 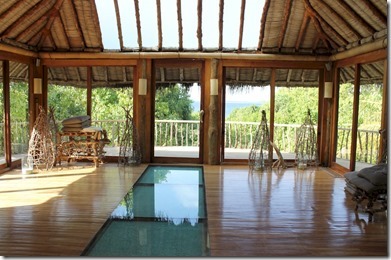 Just another example of Soneva’s glass ingenuity.